Presented by Edward Dillon, Esq. 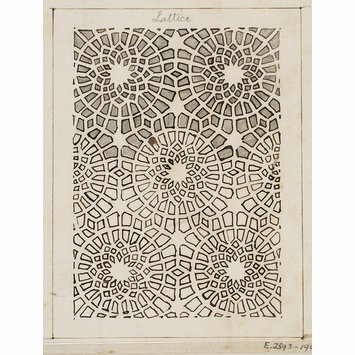 Height: 200 mm max., Width: 190 mm max. 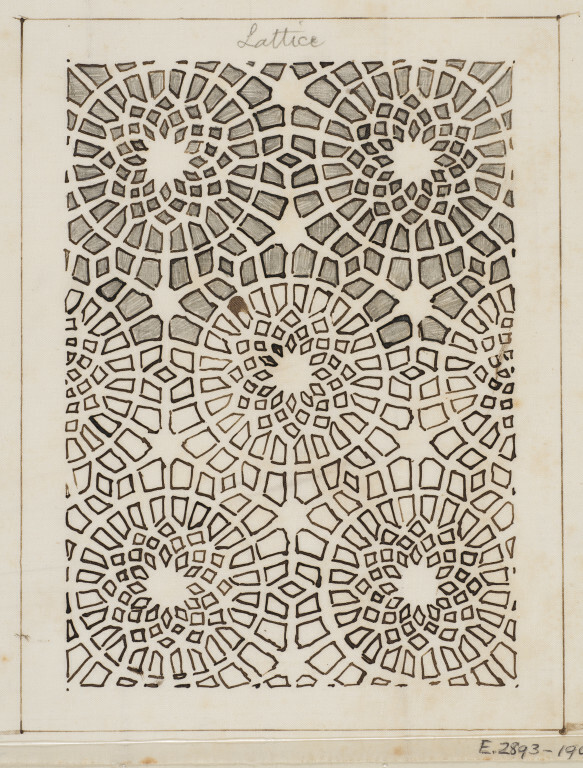 One of 16 drawings and tracings of Saracenic pavements, ornament, lattices etc in Cairo (E.2880 to 2895-1909). 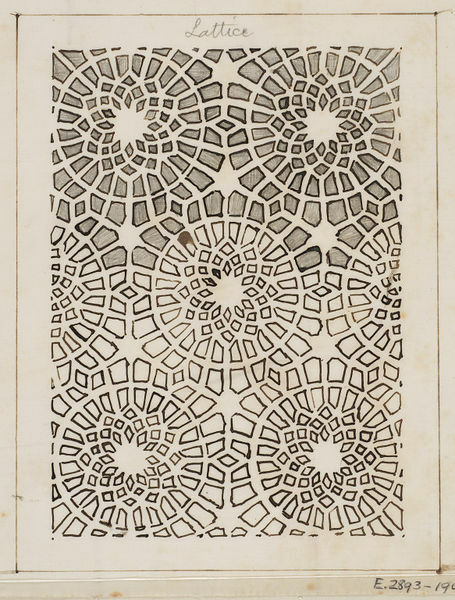 Frank Dillon (1823-1909), One of 16 drawings and tracings of Saracenic pavements, ornament, lattices etc in Cairo.